How many of you have been to Adventure Aquarium? Most of you? 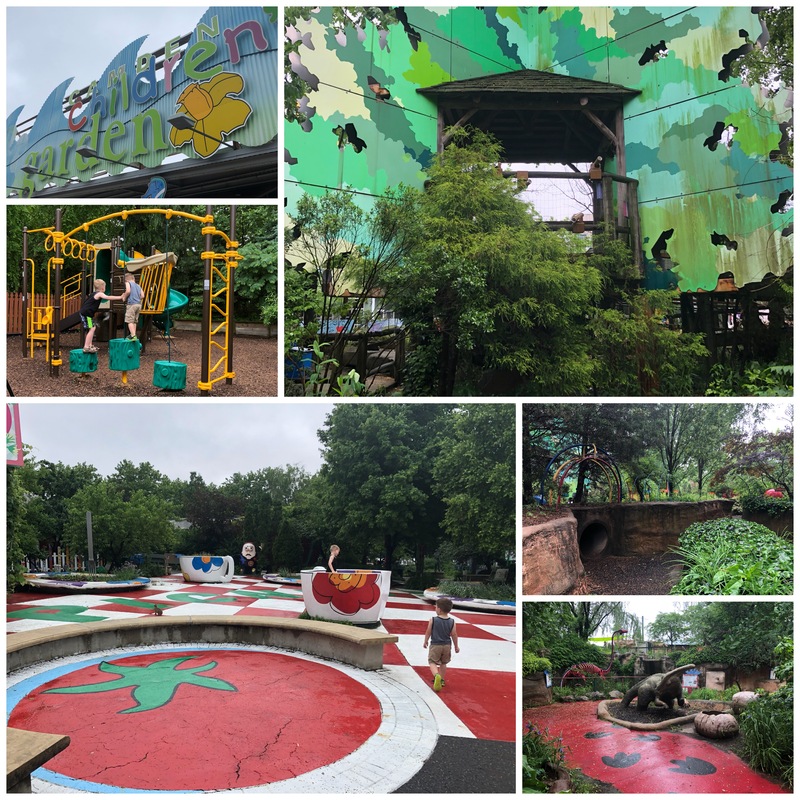 Now, how many of you have been to Camden Children’s Garden? It’s right next door! Because we have a membership to the aquarium, we have gone pretty frequently for the past two years and never once ever considered going to the garden. To be honest, it doesn’t exactly look like the most inviting place from the outside. Nevertheless, we had to check it out! Just as a reminder, I am a landscape designer by profession, so when I go to any kind of garden I look at things from another perspective. The first thing I will say is that they use the word garden loosely. The “garden” aspect isn’t much to look at. The flower beds were weedy, the plants were unkempt and kind of boring but it is always nice to have a green space of any kind in a place like Camden, NJ so I’ll give them an E for effort. We had the entire “garden” to ourselves because it was sort of misty/rainy out which we didn’t mind at all. 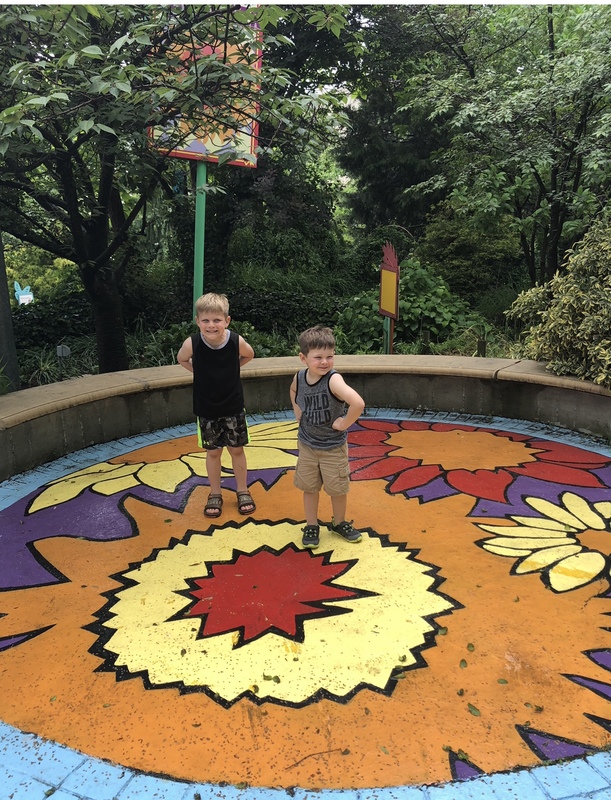 I love whimsical places that were designed from a child’s perspective and this place is full of color and wonder and things to discover. 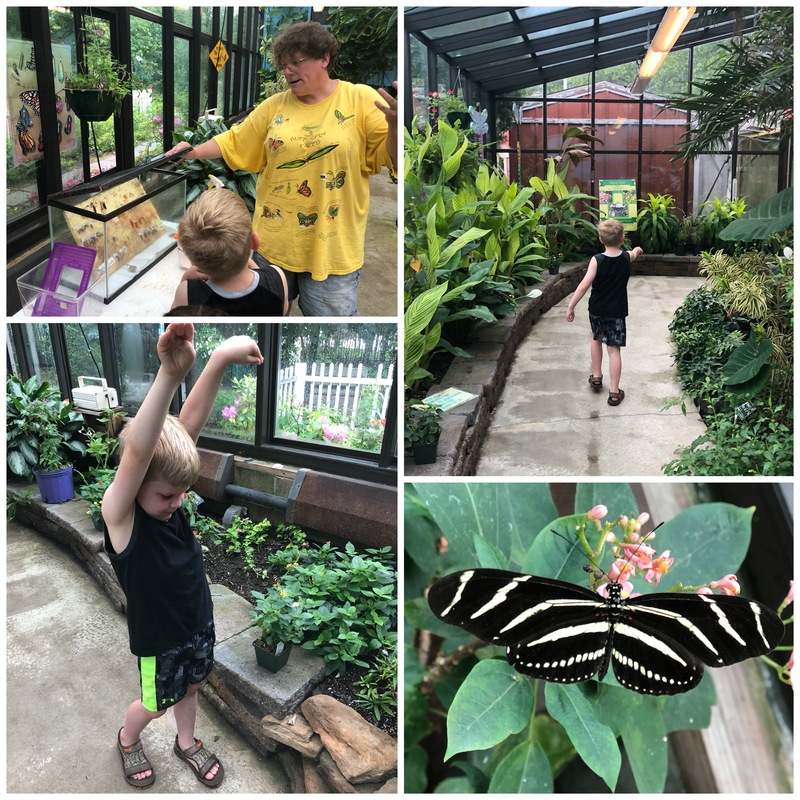 We really enjoyed the butterfly house and the kids got a very personal experience with the person working in there. She patiently answered all their questions and gave them tips for getting the butterflies to land on you. There are several rides that are not included in the ticket price. I didn’t really want to pay more for them so I had to deal with a little whining about not getting to go on the train but there were enough things to look at that we were able to redirect. There were mosquitoes in the garden so bring some bug spray just in case. I would like to think that a children’s garden would treat for them so that wouldn’t even be a consideration however, it’s pretty clear their budget is LOW. 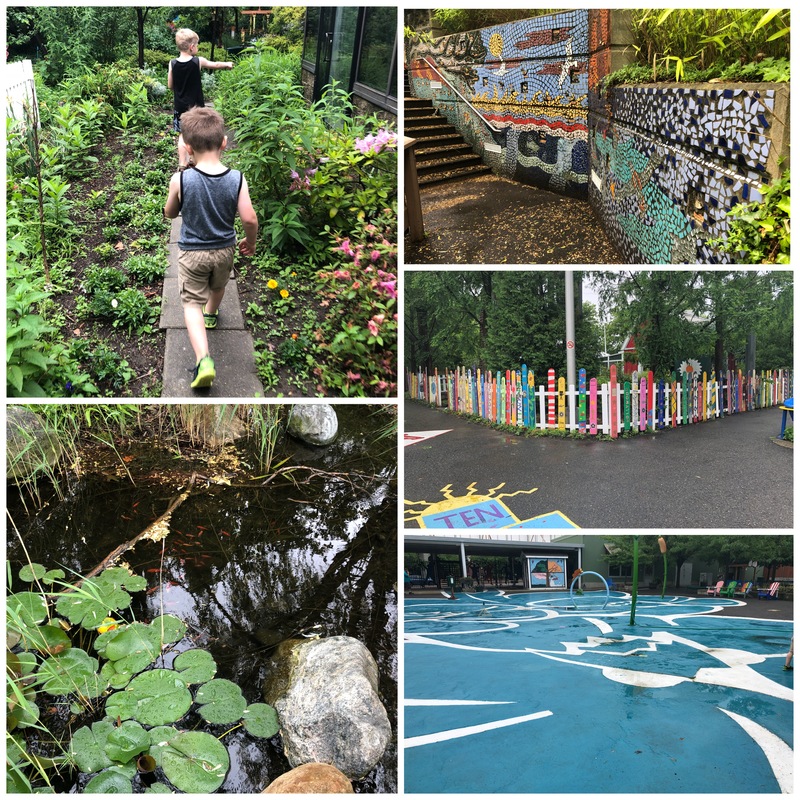 When you look at things from an adult perspective, it’s easy to see all the things that could be improved upon but if you try to see the Children’s Garden through your kids’ eyes it makes it a worthwhile visit. There are tunnels to crawl through, dinosaurs, storybook characters, fish ponds, art and more. You can even peek in to the outdoor penguin exhibit at the aquarium from inside the garden! I say, check it out with an open mind.